Ludacris says the baby mama who is waging war with him gave him a crass ultimatum — give me a car, or I’m goin’ public. Ludacris filed legal docs, which he reveals the drama behind his child support fight with Tamika Fuller. He asked the judge back in September to issue a gag order because he is “a major celebrity of great notoriety.” Luda argued … throughout the U.S. — and even in Georgia — judges often allow public figures to keep their sexual indiscretions under wraps. 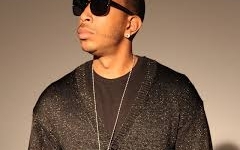 Ludacris says the baby mama who is waging war with him gave him a crass ultimatum — give me a car, or I’m goin’ public. Luda argued … throughout the U.S. — and even in Georgia — judges often allow public figures to keep their sexual indiscretions under wraps. Luda claimed the gag was essential because Tamika demanded that he give her a whip and $7,500 for her lawyer’s retainer … OR ELSE she’d put him on blast — that he fathered her kid while he was still with longtime GF Eudoxie Agnan. The judge wasn’t buyin’ what Luda was sellin’, and rejected the request. We don’t know if Tamika got her car. Ludacris has decided to go into real estate, flipping houses etc.